Just like Football, high turnover is bad for you and good for the other team. Investing in mutual funds and exchange traded funds (ETF’s) with high turnover ratios involves paying a large amount in transaction fees and other costs. This means these investments are at a performance disadvantage and they could cost you money in other ways. Turnover ratio is the gross proceeds from all sales in an investment portfolio or investment fund, divided by the total assets in the exchange traded fund or mutual fund. What Constitutes a High Turnover Ratio? So, at what point is a fund considered to have a high turnover ratio? By percentage, turnover ratios can range from the low double digits to 100% or greater. There is no magic line at which a fund is declared to be high turnover, but low ratios like 30% are considered low turnover, while high turnover funds approach 100% and beyond, indicating that the typical holding is being turned over at least once per year. That will bring all of the negatives in the last section into the picture. How to Determine Your Funds Turnover Ratios? Some sites, such as MarketWatch, show turnover ratio. For example, VFINX (an index fund) has a turnover ratio of 4%, while PVOYX (named one of the Four High-Turnover Funds to Be Wary Of by MorningStar) has a turnover ratio of 140%. 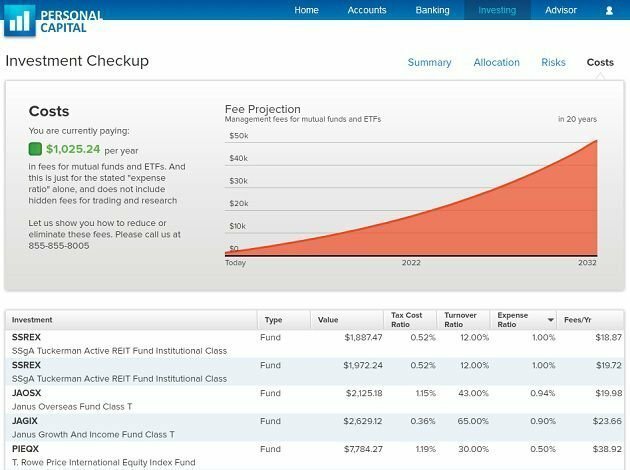 The more a fund trades, the more you’re being charged in transaction fees. Though it may represent a small percentage of the fund — one percent or less — that small reduction each and every year cuts into your return, especially in the long-term. A one percent difference in transaction fees can add up. Consider that $10,000 invested at 10% will grow to $25,937 after ten years. But when the return drops to 9% — after deducting 1% for transaction fees — the value after ten years will be $23,579. That’s a difference of $2,358 over ten years, which is equal to more than 23% of the original amount invested. Long-term capital gains are one of the greatest benefits to the stock market investor. Under current tax law, if your marginal income tax bracket is 15% or below, your capital gains rate will be zero. If your marginal tax bracket is greater than 15%, your capital gains tax rate will be just 15%. But that’s only for long-term capital gains. Short-term capital gains — gains on securities held for one year or less — are taxed at your regular marginal income tax rates. The more of your capital gains that are short-term, the more you’ll pay in taxes on your investment returns. High turnover ratios mean more short-term capital gains. Since high turnover ratio funds do a lot of buying and selling of stocks, they need to keep larger cash balances in order to make trades. Cash is money that isn’t invested! If your fund holds a lot of cash, say five percent, that means that only 95% of your invested capital is actually working to earn higher returns. Cash is a necessary part of a balanced portfolio and you should have some at all times. But you don’t want to have large cash balances sitting in funds that are supposed to be invested for high growth. Turnover ratios aren’t the biggest factor in investing success, but they do have a major effect on your returns, especially over the long-run. As such, it is a good idea to keep an eye on your funds turnover ratio and exchange high turnover ones for low turnover alternatives (as you would do with high expense ratio funds). High turnover increases transaction fees and it looks like the only people making money are the stock brokers. If you’re an individual investor, the high turnover rates might be detrimental to your capital gains tax as well. This is due to the short term capital gains tax being much higher than long term capital gains tax. Hi Jonathan–That’s good news on the transaction fees. But it still leaves potentially high cash balances as well as exposure to short term capital gains tax consequences. Has the return on the fund been sufficient to overcome these obstacles? I would think that it would still be a problem for an investor who’s in the higher tax brackets. Turnover isn’t necessarily a bad thing if the fund manager knows what he or she is doing. Our firm has extremely high turnover; however, we are still trouncing the S&P over a ten year period. Although, our focus on absolute inflation adjusted returns has saved us from experiencing the large losses realized by those who adhere to the traditional buy and hold dogma. As an aside, our firm eats the trading costs charged by Pershing and views them as a cost of doing business. Great overview. I’m a pictures person and I love graphs. It really helps me to understand what’s going on more clearly. Hi Sam–It makes a strong case for making index funds the major hold in your stock portfolio. And as you said, few funds ever beat the market and none will over the long run. This is an often overlooked statistic when evaluating funds. While the high turnover of a fund does not impact its expense ratio, it does raise the hurdle higher for fund managers to beat their benchmark. Fund managers have to recoup the trading costs due to increased turnover with more market-beating returns. It’s no wonder why the majority of actively managed funds underperform their benchmarks year in and year out. To see the proof up close, take a look at S&P’s Indices Versus Active (SPIVA) scorecard report. It tracks the performance of actively managed mutual funds against their benchmarks (SPOILER ALERT: stick with index funds and ETFs!). Thanks for the reminder about turnover!